If someone asked you how to study for the test this week, what would you tell them? What study tips could you give them? What study tips could you give? I would say to study what ever you have done in class for the last two weeks. I WILL TELL THEM TO REVIEW ALL NOTES THAT WE HAVE TAKEN SO FAR I THIS CLASS. study with your mom,or dad……..
I’ll tell them that you should also study for the test for we both can do our best and to pass the test.TO study very hard and try not to give up and just do there best. To review all the things you have learn. To study your worksheets. To review our notes. Pay attention in class. – I would tell them that make the studying for you. – Make your own questions. The tips i would give them are to always do their homeworks so that things will start getting memorize. Also to always be prepared, take notes and to do whatever to memorize them. If someone would ask me how to study I would tell them to review on worksheets they have done in class before. What I do on weekend is Friday I would do homework for the class and study a little bit. On Saturday I would study all day. Basically cram everything. And finally on Sunday don’t study at all. The day of the test you would remember. And if its on weekdays just study everyday. or you can even ask the teacher for help ……..
What study tips i get them. Not but i wel study at home befor i come to school. I would tell them that to look at the notes you did do and class and go over them. iF SOME ONE ASKED ME HOW WOULD i STUDY i WOULD SAY GO OVER THE NOTES 4 AT LEAST 1 OR 2 HOURS OR AT LEAST 20 MiNTUES.. I would say use your homework as a study source. I would also say use flash cards. I would tell them to review all the work we’ve done in class, and all the homework. The way i would stud for a test would be study all the work and study on books to inform mself even more. If i were to give study tips i would twll people to make time to study your work and take notes on your studing. STUDY EVERTHING YOU GOT DONE AS IN STUDY ALL OF YOUR NOTES IN REMEMBER THEM THEN I THINK YOU WILL GET A HIGH SCORE ON YOUR TEST!!!!!!!!!!!!!!……. I love to sing so I’ll mabe make a song about it or I’ll just remember it the best I can ehen you try your hardest alot of this will pay off. I would tell the student to review the notes and classwork that has been done in the past weeks.They would have to reread everything.If they dont understand some material they should ask the teacher for the extra help. I would tell them to go home and look over notes.I would tell them good luck and study hard. If someone asked to tell to how to study for a quiz I would tell them to study a lot. For example I would tell them to review all the worksheets that they have done over the unit. Also I would tell them to study as much as they can to get a good grade. I would tell them to look all over the work for my class. I would tell them some tips like read over and over on all the work we went over in the past. – to have a mini test…. I Would Tell Them To Reviw And Study All Their Notes And Try To Memorize Them If They Can. I WOULD TELL THEM TO LOOK OVER THEIR PAPERS THAT HAS THE QUESTIONS ON WHO CAME TO AMERICA IT WAS FOR H.W. What i would tell them is to just read over the notes or information they have from the entire week of class or to just go online and look uo the topic of what they talked in class. I would tell them take notes and then quiz themselves without looking at there notes. I would tell them to read your notes also to get a flashback of last class. I WOULD TELL THE PERSON TO STUDY EVERYTHING THAT THEY DID OVER THE WEEK. just practice…and go over your tips and practice the best you can and key point things that may help you get a good grade…. my advice would be to review old homework and notes you might have from previeouse days.also look at the note you have wrotten on your old papers and review them. If someone asked me how to study I would tell them study what you think is the most important thing that is gonna come out in the test. I would also tell them use your notes cause that is one big thing that they could pull out of your notes and use it as a question. I would tell them to just keep looking over it until they think they got it and then they go to like someone in they house and ask them ask them questions about it to seee if they know it. and the ones they got wrong keep looking over it. I would tell then to look all note and page 39. I WOULD TELL THEM TO GO OVER NOTES OF THE LESSON WE JUST COVER AND STUDY REALLY HARD AND BE CONFIDENT THEY STUDY HARD FOR A GOOD GRADE NOT FOR SOMETHING THAT WASN’T WROTH NOTHING. I WILL GO TO THE CLASSES I GOT FOR THOSE CLASSES AND REVIEW IT FOR THE TEST. I WOULD TELL PEOPLE TO GO OVER THEIR NOTES AND THE QUIZ REVIEWS WE HAVE BEEN GOING THROUGH. I WOULD TELL THEM TO STUDY REALLY HARD AND TO BE CONFIDENT.I WOULD ALSO TELL THEM TO GO TO THE TEACHER AND ASK SOMETHING U DIDN’T UNDERSTAND OR YOU NEED HELP ON. IF SOMEONE WILL ASK ME FOR HELP I WILL TELL THEM TO LOOK OVER THEIR NOTES AND CLASSWORK……. I would tell then to study fro9m there notes or to look at the work they been doing and study as hard as they can. well I would’nt give them any tips and let them study by therselves. I would tell that person to look at the past homework and classwork.Then maybe the person would know what to do. I would say, to study everything we did these passed five weeks and review everyday. WHAT i will say is to go over the notes that we have been studied.. To study hard for a good grade.. Study with a partner n while studying highlite the important things.. If someone ask me how do we study for the test i tell him or her lets go over the notes,homework, and classwork. My suggestion is that i would tell them to re-read the notes they have or the classwork that they have done that has to do with what they have study before the test and also play a game with a family member or friend that they think will help them out to remember most of what they have study and think it is helpful for them too. you can study with your brother and your sister. 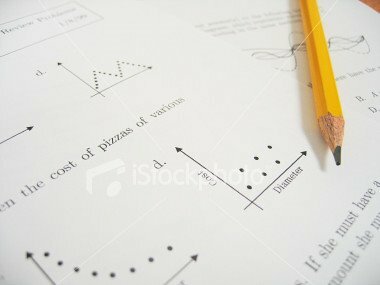 STUDY WHAT EVER KID OF HOMEWORK THE TEACHER GIVES YOU DO YOUR HOMEWORK EVERY DAY AND STUDY HARD…….THAT WHAT UP,,,,. The tip ill give them is to go over all the work that is the subject of the quiz…And then let some one quiz them by giving them questions on what they went over…. I would tell that person to look back at their old assignements and review them. I wold also tell that person to study with a friend in a quite area with nothing to distract you. TO PAY ATTENTION IN CLASS AND STUDY ALOT AND I’LL TELL THAT PERSON TO DO THE SAME THING TO. I would tell them to study at least 30 min. or more. so they could have alot in mind when it comes the day for the test. I WOULD TELL HIM TO STUDY ALL THE WORK THAT HAVE BEEN GIVIN . like this game you get 50 cents or a dollar if you get the answer right. well i will tell them to study all the work we have been doing ties pass two weeks. I would tell the person is to go over what you have learn in your notes. Also ask your self some question about what you want to know. If someone would ask me how to study for a test, I would tell them go over all youre notes, go over the chapter you guys are in, read carefully all questions and underline important words. i would tell them to go over all the work they’ve been studying and look at impotant words or phrases and try to memorize them, for there is a chance thse words might be in the test. i would also tell them to go over their home work becouse teachers like to quiz on homewok to see if students have been doing it. I WOULD TELL THEM TO GO OVER THEIR WORK AND MAKE SURE THAT THEY ARE READY FOR THE TEST . LOOK AT ALL THERE WORK. Review your notes.And i would tell them to ask the teacher for help questions.